It can be difficult to find cosmetics that suit the texture and needs of mature skin. Full coverage foundations conceal age spots and under-eye circles, but they often settle into wrinkles. Moisturizers may give the skin a dewy glow, but they don’t do much to cover up discoloration. For the best of both worlds, consider a CC cream. Ahead, check out our picks for the best CC cream for mature skin, ranked by user reviews. This CC cream protects and enhances mature skin. With an SPF of 20, this cream offers broad-spectrum sun protection, shielding aging skin from the UV rays that cause damage. It has a lightweight formula, which glides over the skin and never settles into fine lines and wrinkles. While the texture is light, the coverage is anything but—the Lumene CC Color Correcting Cream can conceal age spots, uneven texture, and redness. This popular It Cosmetics product can do it all: it minimizes the appearance of pores, brightens the complexion, hydrates dry skin, and provides sun protection. It also helps to reverse the signs of aging, thanks to its cutting-edge anti-aging ingredients. This cream contains a combination of peptides, antioxidants, hyaluronic acid, collagen, and natural botanicals. Together, these ingredients soothe, repair, and protect. As a makeup product, this cream provides lightweight, all-day coverage that can conceal everything from age spots to unwanted pigmentation. 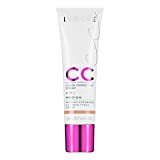 To achieve a radiant complexion, try this excellent CC cream from It Cosmetics. For smooth skin and even texture, consider Neutrogena Healthy Skin Anti-Aging Perfector. 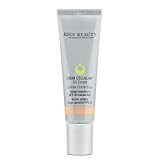 This excellent CC cream contains retinol, which reduces the appearance of wrinkles. It also has broad-spectrum SPF 20, which helps to prevent new wrinkles from forming. Thanks to its sheer, easy-to-blend coverage, skin looks dewy, refreshed, and youthful. Available in half a dozen shades, this highly flattering CC cream is a staple of countless beauty regimens. If you’re looking for the best cc cream for mature skin, you can’t go wrong with Olay Total Effects. 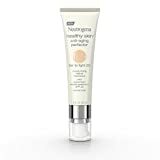 Promoted as a seven-in-one daily moisturizer, this cream can smooth skin texture, reduce the appearance of fine lines, and hydrate dry, tired skin. It’s infused with moisturizing ingredients, ranging from antioxidants to vitamins, that keep the skin healthy and radiant all day long. It also contains a touch of foundation, which helps to even out the complexion and conceal any irregularities. It’s specifically designed with mature skin in mind, and women who want to restore balance to tired complexions should give it a try. COLOR CORRECTING BASE: All the hydrating and imperfection blurring benefits of a bb cream or tinted moisturizer, but with greater color correction--Organic Wear CC Cream delivers sheer coverage for a soft, glowing, natural look and lasting skin benefits. TINTED MOISTURIZER WITH SPF, but with increased skin balancing sheer coverage & color correction. Evens skin tone, while natural and organic ingredients blur imperfections and enhance the natural appearance of skin for a flawless, woke up like this look. PUT YOUR BEST FACE FORWARD: From primers to highlighters, we offer a full face of makeup to help you build a foundation for any look, and all without irritating ingredients or harsh additives. Just long-wearing, lushly pigmented, quality cosmetics. If you prefer your cosmetics infused with natural, organic ingredients, this Physicans Formula product may be the best cc cream for mature skin. The cream has a light formula that goes on effortlessly, creating a naturally corrected, radiant finish. Infused with a proprietary blend of botanicals, this cream nourishes the skin as it conceals; algae reduces redness, acai strengthens the skin barrier, and orange water moisturizes. The Organic Wear CC Cream also contains light-reflecting pigments, which help to blur the appearance of wrinkles and imperfections. Thanks to its all-natural formulation, this Physicians Formula cream is an excellent choice for people with sensitive skin. 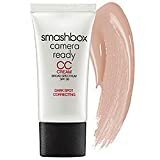 Smashbox is best known for its highly pigmented, full-coverage cosmetics. With this CC cream, however, they’ve created what some makeup users consider the best cc cream for mature skin. 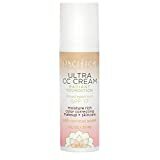 With its lightweight texture and color-correcting prowess, this cream is great for women who need a little more coverage than the average CC cream offers. It primes the skin, provides medium coverage, and protects it from the sun with SPF 30. This all-in-one product also contains ingredients that lessen the appearance of dark marks and scars over time. This Korean beauty product is a great pick for women looking for the best cc cream for mature skin. It provides users with instant, lightweight coverage, and it’s designed to correct the skin tone irregularities that come with age. It offers excellent sun protection—it has an SPF of 50—and it’s packed with refreshing, revitalizing ingredients. They include vitamin E, ceramide, and hyaluronic acid, which help to strengthen and hydrate the skin. For a lightweight cc cream that is effortless to apply, consider this K-beauty staple. 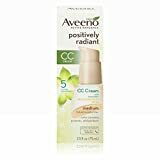 If you want a cc cream that protects and enhances the skin, consider the Aveeno Positively Radiant CC Cream. This multi-tasking cosmetic contains a soy complex, which helps to refine skin texture. It also has light-reflecting minerals, which provide a luminous finish to all skin types. The SPF 30 protects aging skin from sun damage, and the oil-free, non-comedogenic formula ensures it won’t irritate the skin. For sheer coverage that leaves the skin with a youthful glow, you can’t go wrong with this Aveeno CC cream. For a skin-perfecting finish, try Juice Beauty Stem Cellular CC Cream. The brand takes a scientific approach to beauty, and this high-tech cream helps to improve elasticity and reduce the appearance of wrinkles. That’s due to its wonderful array of organic and natural ingredients, which deliver the hydration aging skin needs to stay youthful. It also contains non-chemical sun protection, which is great for people who are sensitive to traditional sunscreens. This product is available in five flattering shades. This Revlon CC cream isn’t just designed to cover up the signs of aging. It’s also formulated to reverse the aging process, thanks to its powerhouse ingredients. It can help to reduce the appearance of age spots, diminish fine lines and wrinkles, and restore vitality to lackluster skin. Thanks to its high-quality coverage, it can conceal any existing skin flaws, ranging from dark under-eye circles to age spots. It also contains titanium dioxide, which provides potent sun protection. This cc cream is available in several flattering shades, ensuring that women searching for the best cc cream for mature skin can find a shade that flatters. CC cream is a great way for women with aging skin to achieve a glowing, radiant complexion every day. 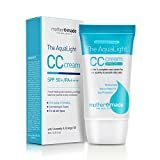 What do you think is the best CC cream for mature skin? Tell us more about your favorite makeup products in the comments section below!